It is sometimes difficult to imagine that two animals belong to the same species when they evidence showy morphological differences. This is the case of some strong sexual dimorphisms, when the male shows colours and liveries so much different from the female, to raise doubts about the belonging to a unique species. To get an idea it is sufficient to observe a Lesser bird-of-paradise (Paradisaea minor) or a more common Pheasant (Phasianus colchicus) but in the case of the crows the dilemma is quite different. The Grey crow (Corvus cornix Linnaeus, 1758), here treated, should be by some to be classified as Corvus corone cornix and the Carrion crow (Corvus corone Linnaeus, 1758) as Corvus corone corone but we are facing birds differing for colour and size with a different geographic distribution. Anyway, the Grey crow belongs to the order of the Passeriformes and to the family of the Corvidae and is probably one of the most invasive, opportunist and under certain aspects most harmful species for the locations where they live. The intelligence shown by this family of birds, united to the remarkable body strength and the capacity of surviving in any ambient eating everything, has made of these birds a real danger for the nature surrounding the territory where they live. It is not a raptor but it is such practically, so much to harass indifferently dangerous birds like the Common buzzards (Buteo buteo), Sparrow hawks (Accipiter nisus) and Sort-toed eagles (Circaetus gallicus) and attack and kill animals like young Coypus (Myocastor coypus) and the Common rabbits (Oryctolagus cuniculus). 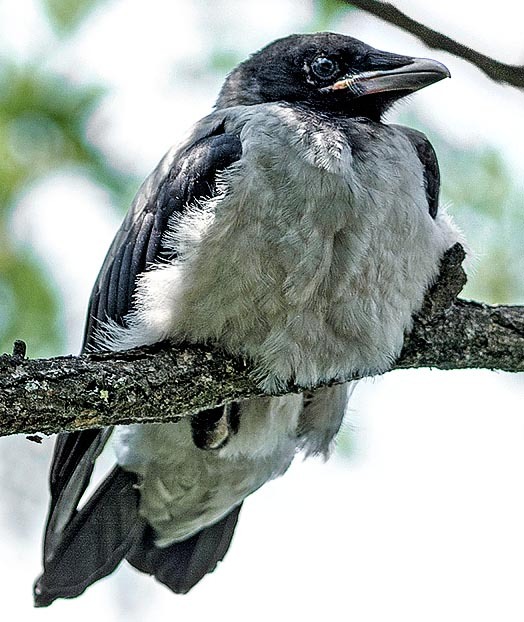 In Europe it is commonly called Hooded Crow in English, Corneja gris or Corneja cenicienta in Spanish, Corneille mantelée in French, Cornacchia grigia in Italian and Nebelkrähe in German. The etymology of the scientific name, even if accepting the possible new vision of things, is in comparison fairly repetitive. “Corvus” from the eponymous Latin term that rightly means crow; “corone” from the Greek “korone” = crow, derived in turn from “krozo” = to croak and “cornix” again from Latine and synonym of “corvus”. In any case a crow on either side you take it! 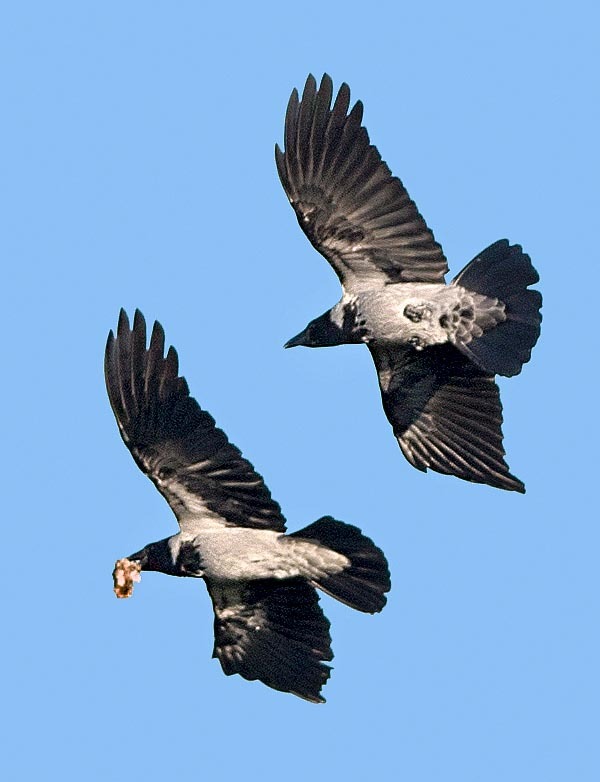 The hooded crow has a territory well distinct from that of the carrion crow, with well defined boundaries that create a real dividing line between the two species. In these points of contact usually occur hybridizations without that one of the two species has the supremacy on the other. 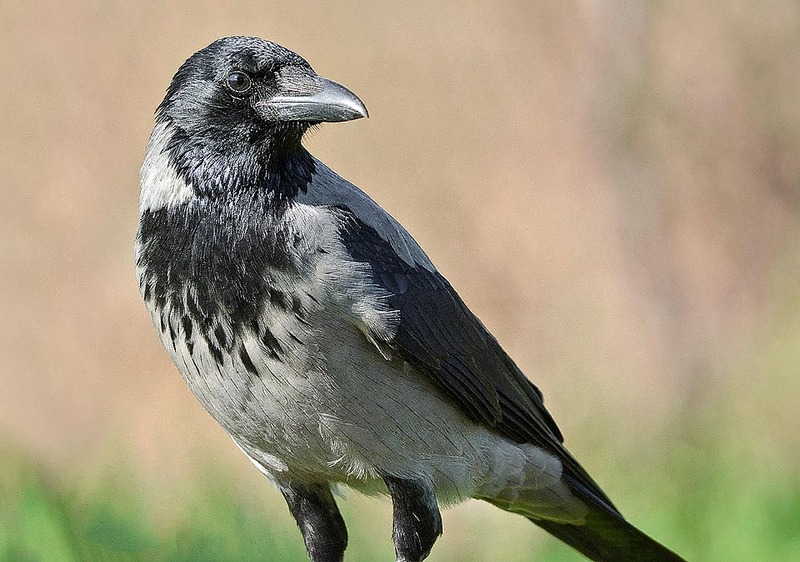 Europe is totally occupied by the hooded crow excluding the Iberian Peninsula, continental France and the western part of Germany, occupied on the contrary by the carrion crow. The limit on the south is the coast of Mediterranean and Anatolia and north the extreme Scandinavian tundra. At east the territory touches Siberia going down, through the central-Asian republics, up to Iran. The points of contact go from Scotland through continental Europe up to north-eastern Italy and then in Siberia and in central Asia. There are, however, scattered areas inside each other’s territory where both species are present. 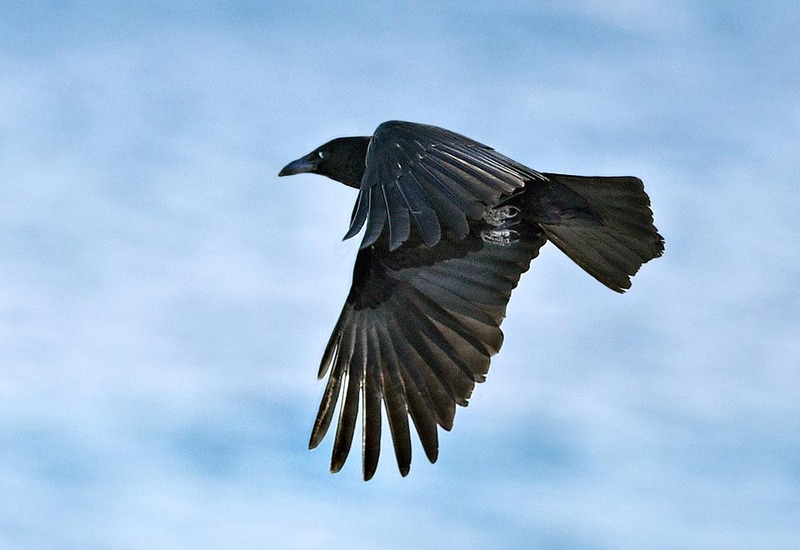 This happens in particular during the winter months seen that the carrion crow usually occupies colder territories and at altitude and is often subject to seasonal movements more consistent that lead them to occupy for short periods the territory of the hooded crows. This last is considered as a sedentary bird. Many subspecies have been classified, scattered mainly on the outer limits of the occupied territory, in the same locations where live together forms derived in their turn from more or less marked hybridizations. Therefore, a certain confusion subsists, with a rather variable situation and with new classifications under way. 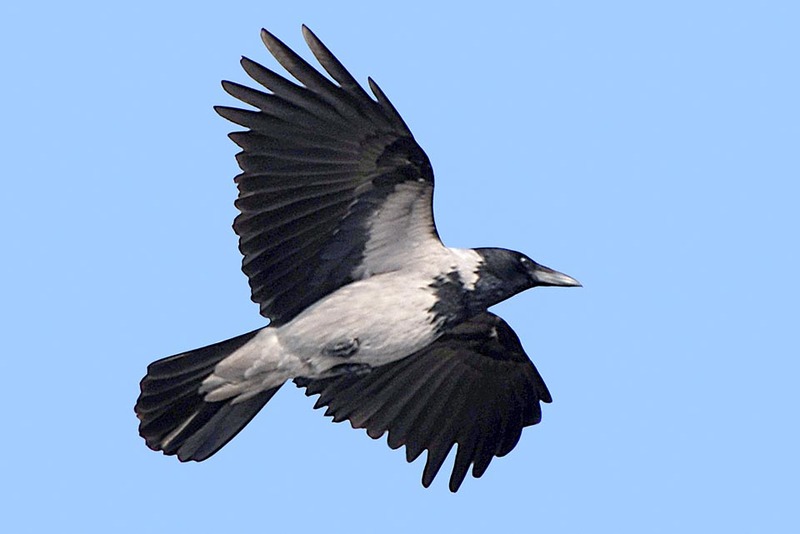 There is not an ideal habitat for the hooded crow, seen its strong adaptability to any environment, however the preference goes to agricultural zones with high lines of trees, industrial poplar groves, countries disseminated by farms with livestock breedings, borders of woods but also gardens and public parks in the large inhabited centers. In the last ones it has found also the protection from its quite few enemies, taking refuge in shared dormitories that besides giving them security during the rest, furnish a pleasant warmth well appreciated during the rigid winter nights. The hooded crow does not love the thick wood nor even the high mountain but is a bird mainly of the plains or at most of hills but rarely reaches high altitudes as the carrion crow does. In the northernmost territories it accepts also the heath and small woods of conifers frequented, mutually, during the day during the search for food and the night for sleeping there. However, seen the adaptability it is met practically everywhere, from the coastline up to the foothill valleys. As the vulgar name states, the livery of the hooded crow is characterized by the ample presence of this colour whilst in the carrion crow, slightly smaller, the predominant colour is the black. In the first, apart the wings, tail and head and part of the neck that are black, all the remainder is more or less ash grey and determined by the age and by the various seasonal liveries. On the throat it has a black spot rounded as a bib. 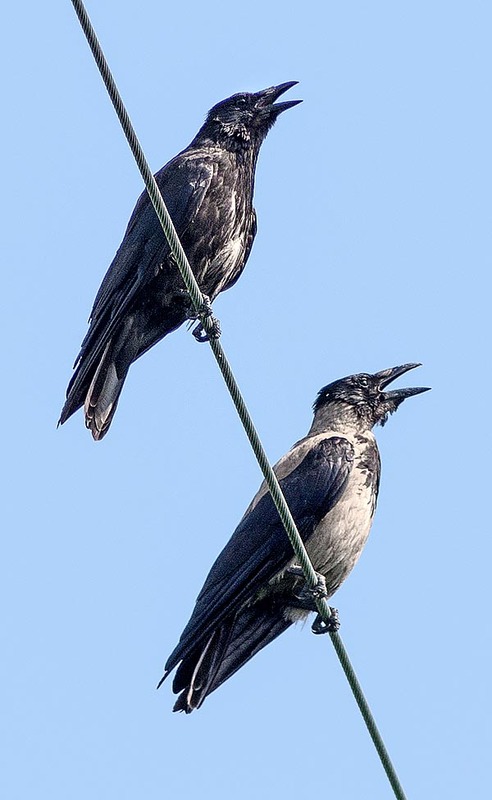 The head is practically hooded of black and this characteristic has rightly inspired the Anglo-Saxon world to give it the name of “hooded crow”. 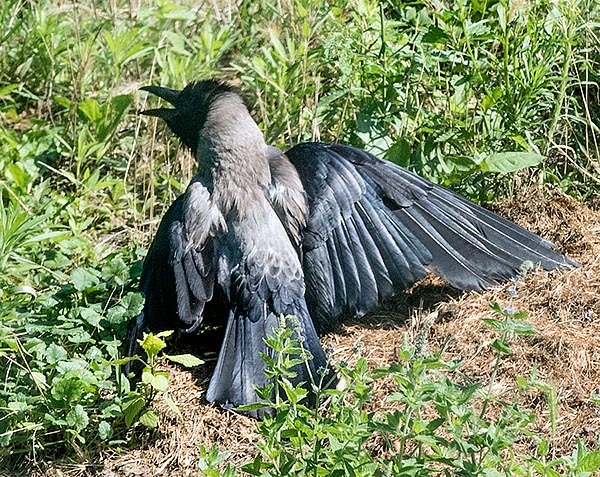 In its livery this crow is easy to distinguish on the field even from far away as all other corvids, apart the very small Jackdaw (Corvus monedula) that has a very reduced quantity of grey in the livery, do have a totally black colouration. Different discourse for the Magpie (Pica pica) and the Eurasian jay (Garrulus glandarius), corvids of completely different colouration. The hooded crow has a massive and compact body, with strong and powerful wings, with greyish legs sensibly long, equipped with strong and clawed fingers. A hen’s foot suitable also for rummaging vigorously in the ground. The eyes are black. The young have the same livery of the adults apart the edge of the mouth, yellowish during the first weeks. The bill is very robust, conical and pointed and, like in the raptors, with a small final rostrum suitable for ripping and tearing off the flesh of its victims. It is about 50 cm long with a weight of 300/400 g and a wingspan of about one metre. It is a bird very resistant to the worst environmental conditions, managing to survive to any difficulty for long time without any sign of weakness. It does not have latent foes unless other corvids that may ransack the nest of its chicks when still featherless. If for the magpie we can assert that the main enemy is the hooded crow likewise we can say for this last. Often they steal reciprocally the broods. 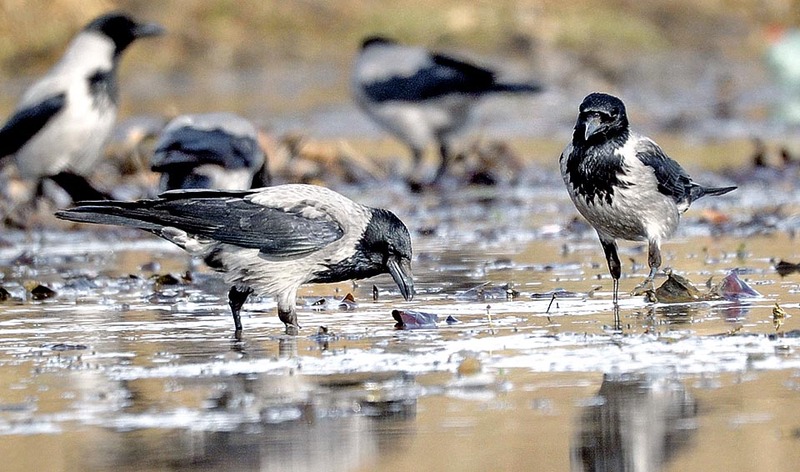 The hooded crow is a very social bird. It lives all the year in big flocks, in real bands devoted to the pure food banditry. Moreover, it is very territorial during the nidification period displaying a strong fury in defending the nest and the group of trees where it is placed. It is frequent to see it in defensive position already in winter, close to the old nest where has already thought to nidify or on that tree where it will build up the new one. 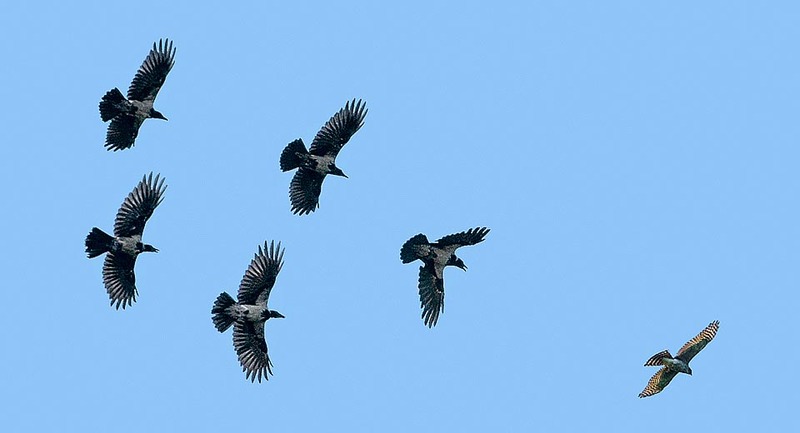 However also in the period of nidification the hooded crows gather in crowded groups formed by non-nidifying young, by unmarried specimens and by adults looking for food. Although basically carnivorous, its feeding is very variable: there is nothing that escapes to its wishes. Its greediness leads it then to plunder all the time the nests of other birds flying for that purpose even for many kilometers in order to reach the sites chosen that then methodically and with painstaking care sifts exasperatingly, so much to desertify the environment. They form bands of marauders even of hundreds of specimens and move in the territory plundering, killing and eating everything. We can see them in the fields lined like small soldiers, moving back and forth every corner and bush, like in a military raid and unfailingly destroying the now infrequent nests of Eurasian skylark (Alauda arvensis) or of Quail (Coturnix coturnix) but also of pheasants and possibly the young of a hare. Having then conquered with opportunism the inhabited centres and the outskirts of the big cities, does not show any restraint, rummaging in the garbage, looking for small animals and insects in the flowerbed of the garden, unearthing and damaging bulbs and flowers just planted, steals the fruits in the orchard and even tries to bother the house cat. It can be seen also ransacking under the tiles of the roof of our dwellings as soon as it hears the cheep of a nestling, causing of course also damages to the covers. In the country, then, it is a real scourge for the agriculture. Those who once were the scarecrows for sending away the birds from the crops have now become simple laughing stock that attracts these invaders. Its methodicalness and intelligence have exceeded any limit and often we see the work of these bands that, with absolute regularity, love to unearth systematically entire lines of corn just sown for eating the grains. Conversely, when the panicle is ripe, they are able to take off the bracts as if they were a glove and beak the exposed seeds. Oh yes, because this crow, even if the Brits rightly call it “carrion crow”, seen that it was a bird always present during the famines and that still now loves eating carrions, has diversified the diet gulping down even these. Only virtue assignable to this bird is that of a scavenger. It is seen on the roads scampering at risk of life, for eating carrions of small animals killed by passing cars, with the risk to encounter the same fate as the victims. Concluding, if in the last century this bird was the sworn enemy of the game wardens because it attacked the game farms, now it is so for the farmers, for the normal citizens and even more for the surrounding nature that is now subdued by this invasive presence. But also in this specific case appears the human gooder shown by some, nothing else than an aimless expression of a protectionism unprepared and unable to assess with objective evaluations the reality of the facts, that foolishly contests and blocks measures of reduction of the population in eccess of these birds, now necessary and not to be delayed in order to save those territories that are ravaged. The hooded crow nidifies on the trees, at often remarkable heights, unreachable from the ground. Usually it chooses high poplars placing the nest on the thinnest branches or on forks close to the top. In these last decades the hooded crow has successfully started to benefit of the big high-tension pylons proving its innate versatility also in this activity. The nest is a solid and well built structure formed by a base of branches of a certain consistence and then ending in a deep cup, made soft with the intake of radicles, moss and wool. 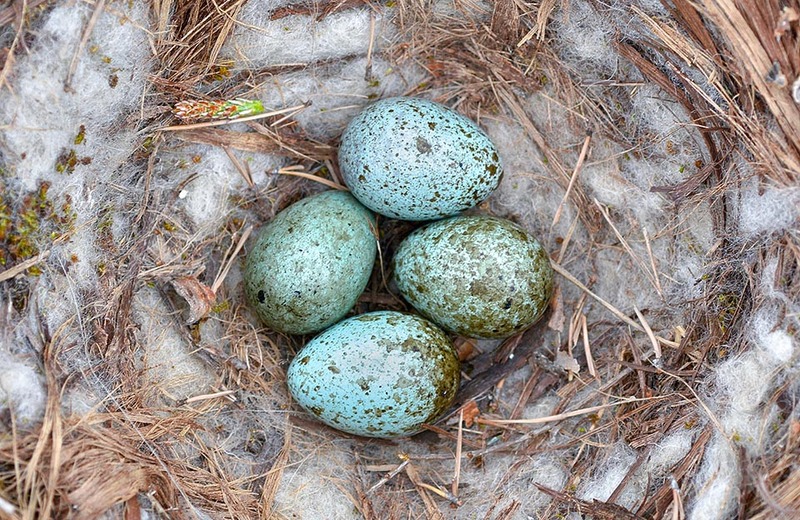 Up to six eggs are laid, rather small seen the size of the bird, of intense light blue colour, thickly dotted of reddish brown. The brooding lasts about 20 days and the small nestlings come to life totally featherless. Only after 5 weeks they are able to leave the nest and to follow the parents often till the following season. During this period the chicks are practically nourished with nestlings stolen from other nests. Here are two short anecdotes concerning this bird. Like all animals also the crows fight against each other with semblance of real combats to the last drop of blood. But this does not correspond to reality as at maximum remain on the field some broken some quill or some feather result of some peck. Having a bill so much fatal the crows avoid to peck the head in order of not causing irreversible damages. In this regard an old probably German proverb says that “A crow will never peck the eye to another crow”. The hooded crow has shown to be greedy of nuts (Juglans regia) and this has resulted in a strong diffusion of this tree grown where the bird has accidentally dropped or has hidden them as food stock and then has forgotten them. In this regard it has realized an ingenious mechanism for breaking the very hard shell and eat its contents. It carries them in the bill up to some tens of metres of height and then leaves them falling on hard surfaces in way that the shell breaks and may eat the contents. They usually do this on the road tarmac, repeatedly and careless of the passage of cars till when the shell opens. Even better, often and inadvertently the vehicles pass over the nut facilitating the operation. A discovery of the last decades now instinctively acquired by all populations. Definitely we will see some good in the future with these birds.